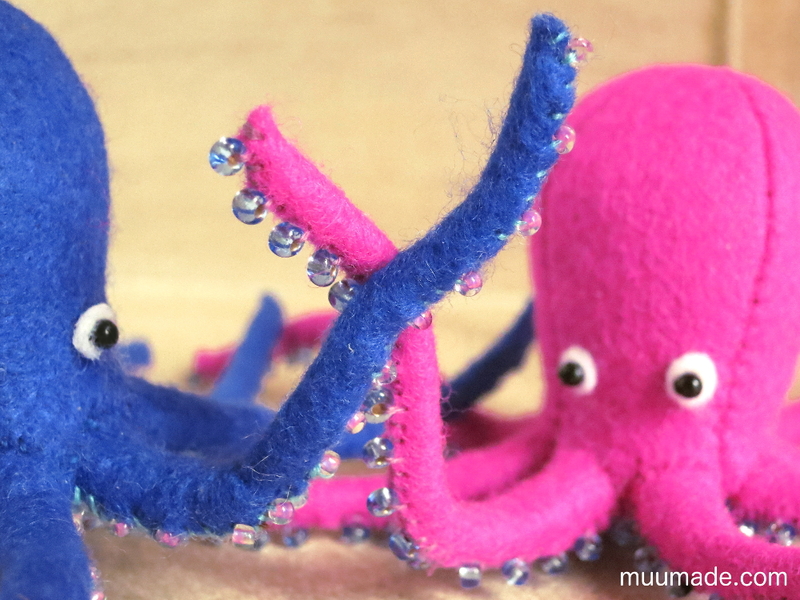 Muumade’s A Little Felt Octopus is a sewing pattern & tutorial to make a cute sea creature. Its head is approximately 6 cm (2 3/8″) tall and each of its arms is approximately 7 cm (2 3/4″) long. The name octopus describes this animal perfectly: it means “eight footed” in Greek. Octopuses have a round head that is really a head and body combined, which makes the design of the Little Felt Octopus quite simple. Some patience however is required to sew its eight long arms. But it will be worth your effort! 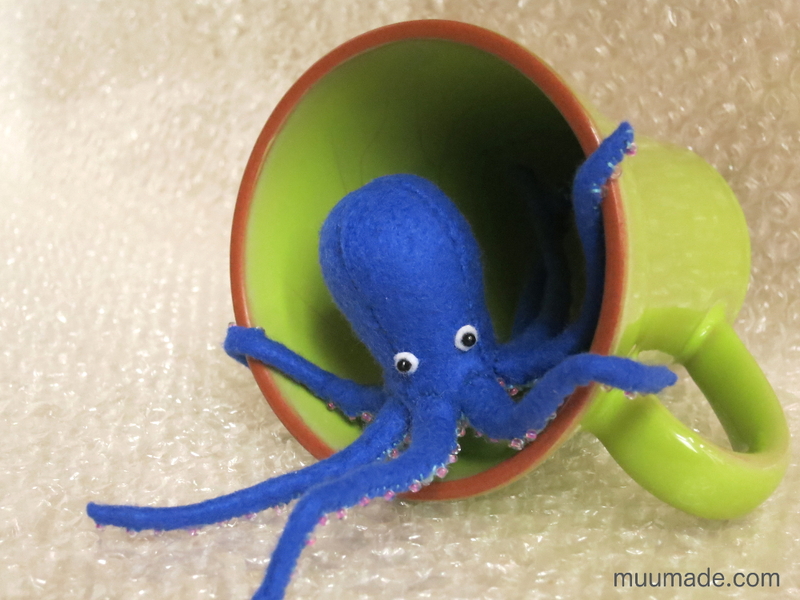 The Little Felt Octopus does not have nearly as many suction cups as a real octopus, but it has enough to keep you busy sewing them on! The resulting octopus arms with beady suckers are what makes the Little Felt Octopus irresistibly cute and impressive at the same time! One of the most outstanding features of the octopus is its flexibility (because it has no bones!). 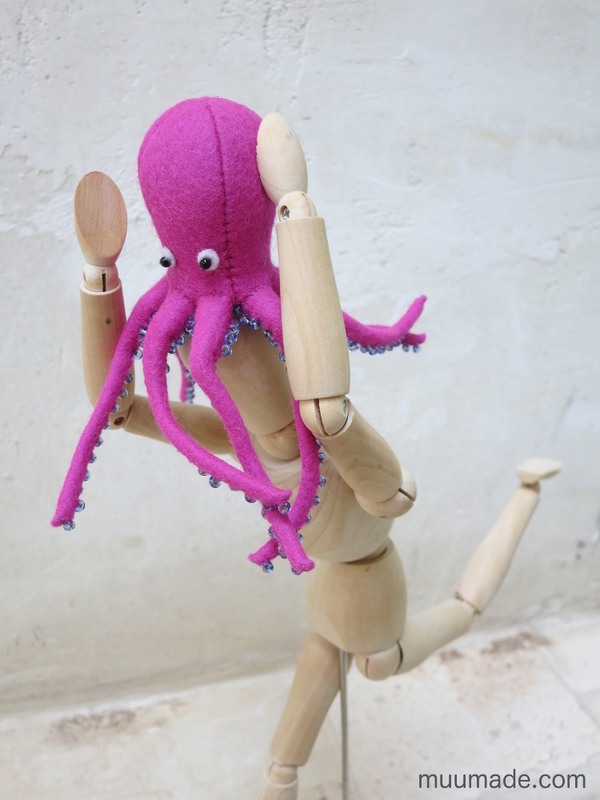 So, the arms of the Little Felt Octopus are designed to be bendable in any way you wish! So, grab the octopus before Woody runs away with it! 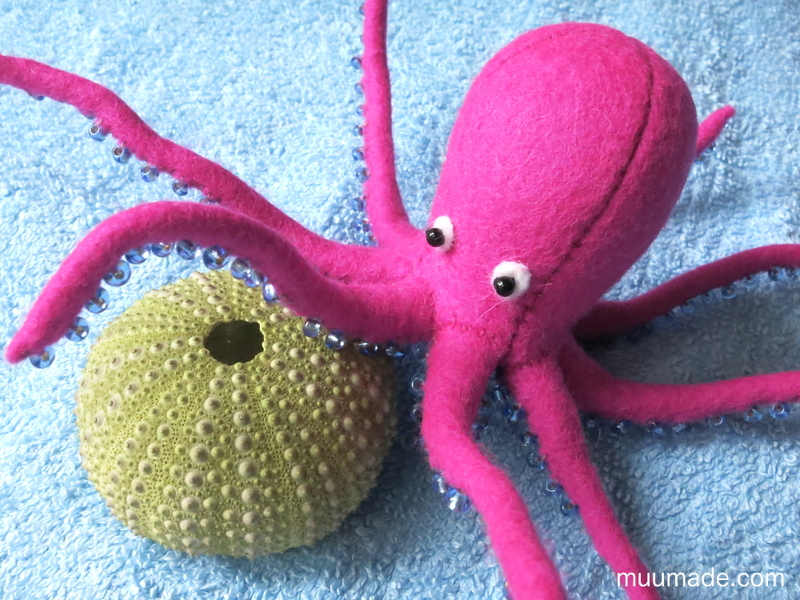 If you are interested in the Little Felt Octopus, you may also like other Little Felt Animals.